Being a great roofer does not necessarily mean you can create a successful roofing business. There are other things to consider as well as the actual roofing itself. In other words, you cannot succeed using just your technical skills alone. That’s because you need to be prepared to use business and entrepreneurial skills, too. Alternatively, team up with someone who has these skills. Moreover, as with any enterprise, you should never just jump head first into starting up a roofing business. Here are some of the factors that you need to consider if you want to give your business the best chance of succeeding. RELATED ARTICLE: WHY IS HAVING A CONSTRUCTION PROJECT MANAGER ESSENTIAL? First of all, to start a roofing business, you need to have knowledge of roofing work. Next, you need an understanding of various aspects of running a business, such as marketing and finances. You might be able to outsource some of the business work. However, you need to have a good understanding to make sure everything runs smoothly. Additionally, it’s a good idea to have at least three years’ experience of working in the roofing trade before you start your own business. This background should give you the opportunity to develop the range of experience and expertise you need to attract and retain customers. The roofing market can be subject to peaks and troughs. For instance, demand can be low when interests rates are high. During these periods, people are unable to borrow money to make improvements to the roof of their property. Therefore, you must be prepared for dips in demand. So think about ways to maintain a regular income, such as offering diverse services. Any small business owner who wants to be successful needs to be good at networking. Building relationships within your local community helps to build your customer base and create beneficial connections with local suppliers. Once your business starts to grow, don’t try to do everything yourself. Having professionals working for you means that you can concentrate on making sure that the business succeeds. Therefore, trust people to do a good job without trying to micromanage them. 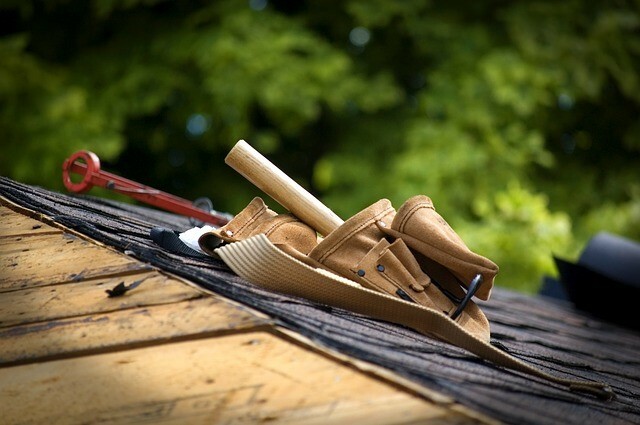 It’s possible to start a roofing business with just the basic requirements. For instance, you’ll need ladders, safety equipment, a truck, and roofing tools. The amount of capital you need to raise will depend on the business model you have in place. Create a business plan before you apply for financing. Include details of where you will spend the money and how the business will be profitable. There are different regulations that apply to the licensing of the roofing trade, depending on where your business will be operating. For instance, anyone owning a Frisco roofing company is not legally required to be licensed according to Texas state laws. However, if you are hoping to attract customers, they are more likely to use your services if you are licensed. As you can see, running a roofing business is different from simply working as a roofer. You need to have business acumen as well as roofing skills. You also need to plan carefully, in order to create a business that has the best chance of thriving.